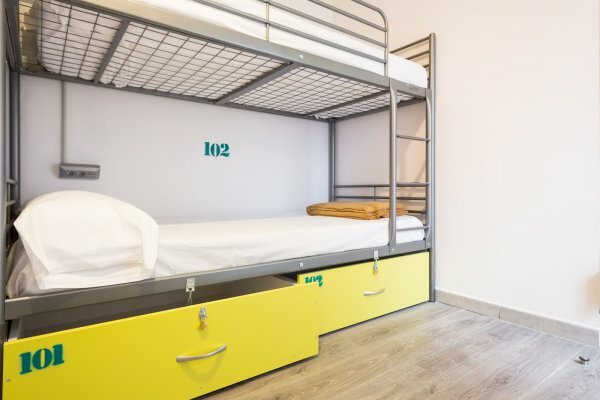 We are a brand new hostel located in the Barcelona/Hospitalet de Llobregat, metro stop Collblanc. It is our second opening of the Hostel in Barcelona. It is a new, exciting project and we are looking for energetic, young people to participate in this adventure with us! Currently, we are looking for a a student for the period of 3 months with the learning agreement from the University and European passport/ID. We will be a medium hostel with capacity of 80beds. Our motto is to put our customer on the first place and we always form a great team of the employees. Currently, we are looking for an intern with a traveler soul, curiosity and a great sense of customer care (and humour!). You will learn about the hostel/hospitality management of all operations at a human-scale company. This job is ideal for anyone wanting to learn how to run a hostel, for one who thinks about working in the Hospitality Industry or someone who simply wants to travel (perfect start to find a job in any other hostel all around the world). As we will have plenty of space in the new Hostel, we will be able to organize many social events for the guests and, of course ,our employees can participate in them, but more importantly, create them! Internship of 36H/week (max. 4 nights a week/ every second week 1 day help during the day shifts), rotative hours. Basic Spanish required. Communicative English. Great opportunity to gain knowledge in Hospitality area and practice Spanish language in the Spanish environment. Paid 200€ + accomodation in the room in the hostel (staff only)+ usage of all facilities+participation in the events.